The governing Patriotic Front (PF) has rejected Tue UPND victory in Sesheke accusing the opposition of using magic and violence to manipulate the poll. 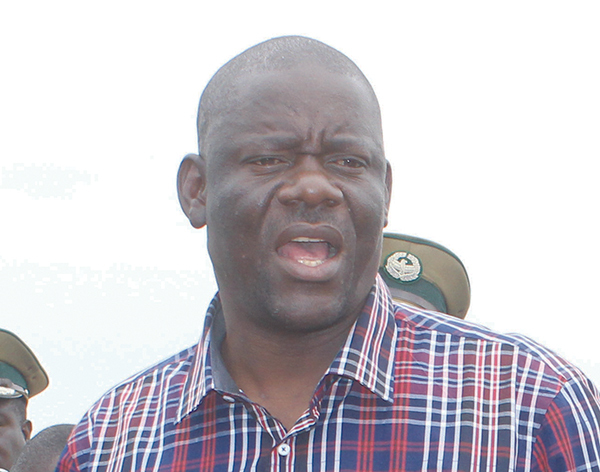 Secretary General Davies Mwila has since announced that the PF will petition the Sesheke by-election. Mwila announced this during a media briefing in Lusaka today, Wednesday, 13th February 2019. 1. On Tuesday 12th February 2019, Parliamentary by elections were conducted in Sesheke Constituency, while Ward elections took place in various parts of the country. 2. We have received with great joy and humility, news of PF sweeping election victory of all the Seven (07) wards in Chavuma, Chifunabuli, Bwacha, Chililabombwe, Kafue, Lundazi and Katete. 3. As we celebrate our victory we pay glowing tribute to our members, the foot soldiers for the great work they demonstrated in campaigning and informing the electorate of PF Achievements and development plans. 4. Before I proceed to talk about the Sesheke Parliamentary By Elections, let me begin once again by paying tribute to our members in all the structures of Sesheke and Western Province who gallantly campaigned in an environment made hostile not by the wonderful people of Sesheke; but by an opposition party that practiced physical violence and mystical manipulation together with some overzealous policemen who brutalised them. We wish our injured brothers and sisters and sons and daughters in Sesheke a speedy recovery and God’s protection. 5. We lost the Sesheke Parliamentary By elections not because our candidate or our development agenda did not sell; but because enemies of democracy and violent merchants of death and destruction disturbed the peace and turned the constituency into a blood bath. 6. The extent of violence to which the UPND resorted when they once again daringly attempted to block the Presidential motorcade is shocking and it is as reprehensible as it is treacherous for all Zambians regardless of regional roots or political affiliation. 7. The UPND have crossed the line; they gone too far and they must expect to reap what they have sown; just as they must expect to receive a dose of their medicine in upcoming elections. But we say to ourselves, an eye for an eye would make the World blind; we refuse to revenge their terror and violence because we are not thirsty for the spilling of blood! 8. Our civility and maturity comes with our understanding of the responsibility that comes with Governance and being the party in power…however we must warn that our meekness must not be taken for granted. 9. PF meekness must not be mistaken for PF weakness. When we choose to be civil, we must not be mistaken for cowards; their behaviour beckons us to return the favour, and but we will remain issue-based and focused on uniting Zambia beyond tribal and political divides, among others. 10. We are appalled at the vicious unprovoked attacks of the police unleashed on our members and we seriously question the brutality the PF Faithful suffered at the hands of police. We demand answers! 11. We demand answers as to why our law abiding unarmed members were butchered like criminals at the hands of the Police. We once again salute our gallant youths who yesterday escaped from the jaws of death at the hands of those who must protect them. 12. The Patriotic Front hates violence. In light of the foregoing, let it therefore be made clear that we will Petition the violence-induced results of the Sesheke By – elections. 13. We also look forward to the Bahati Constituency by-elections, which we shall adequately be prepared for. The Patriotic Front will continue working with our people across all the 10 provinces of Zambia, to fulfil the desire of Zambians to see more development through the leadership of President Edgar Chagwa Lungu and the Patriotic Front in 2021 and beyond. To our Party Leader and Head of State President Edgar Chagwa Lungu; we salute you your Excellency for leading us into a higher dimension of growth. You just want to assault your friends, when its your useless cadres clobbered ati iyo. You can petition the results between you and the police coz its profession police officers who beat up your stupid militias. Well done ba police keep it up for putting sense in these maggots. Even if it is the upnd cadres misbehaving during campaigns please put sense in them. Let this culture which was brought by these blood thirst vampires ba pf come to an end. This time they will be fearing to cause trouble during elections. Davies Mwila, i really wish you could just shut up for once and accept defeat. PF has brutalized UPND on several occasions but you never hear them crying like little children as you are doing now. Please just swallow this bitter pill and move on. A repeat election will just embarrass you more because the outcome will be just as bad if not worse. Well done ba Police for dealing with these thugs. They feel they are untouchable and are above the law. Keep up the good work! Never in the history of this country have strange happened like what we saw in Sesheke. This needs to be corrected right now otherwise it will become a standard in the next elections. Even if it were coincidence – bees and lightening only hit PF campaigns.